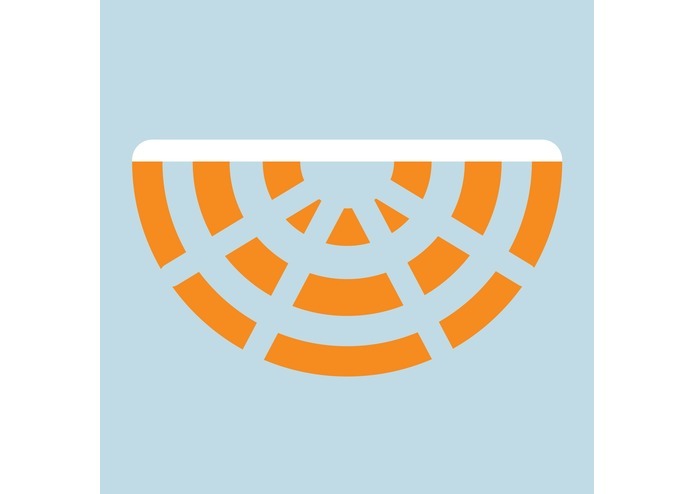 SoundSieve allows you to discover new music in an efficient, intuitive way through an easy-to-use iOS application and SoundCloud. 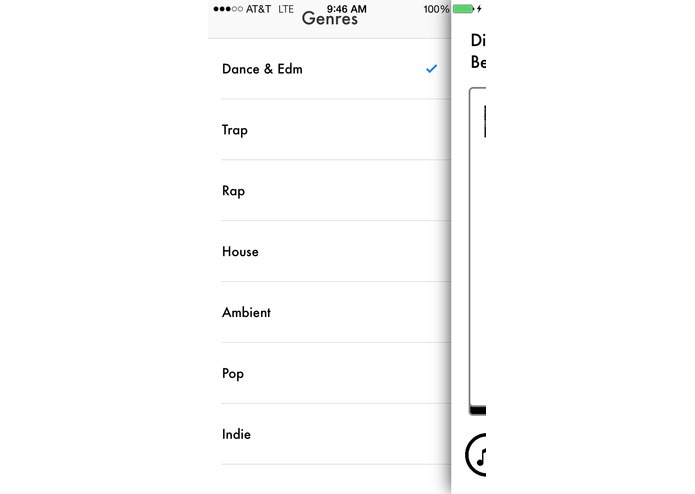 Once you choose a genre, the app loads a trending song from Soundcloud and plays a snippet of the song to the user as a preview. This snippet is determined by the density of comments throughout the song. We decided that comment density is a good measure of which part of the song is the best part of the song based on commenting behavior: audio listeners are much more likely to comment on a specific part of the song if they really like it. Through this system, we can retrieve the best part of the song and preview it to the user of the app, allowing the user to experience the best part of the song without having to listen to the entire song. For example, in our tests, EDM and Techno song previews tended to start a few seconds before the drop (the most upbeat part of the song), and Rock and Pop song previews tended to start a few seconds before the chorus. This allows the user to browse through music much more quickly and allows new and emerging artists to be discovered much more easily. 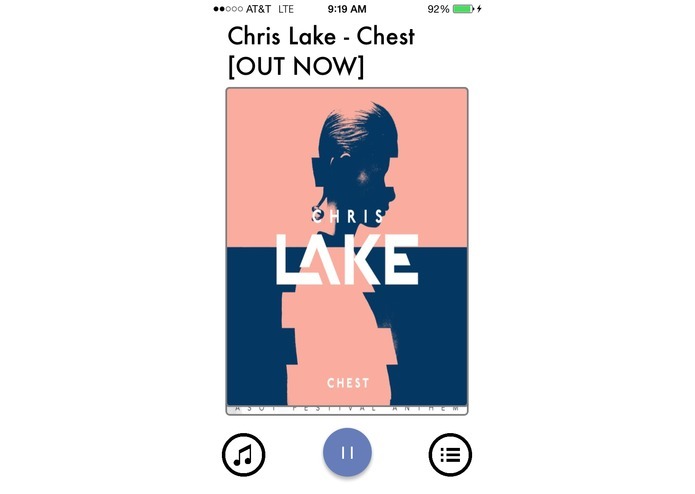 For each song preview, the album art and song title and artist are shown, as well as a few navigation features. 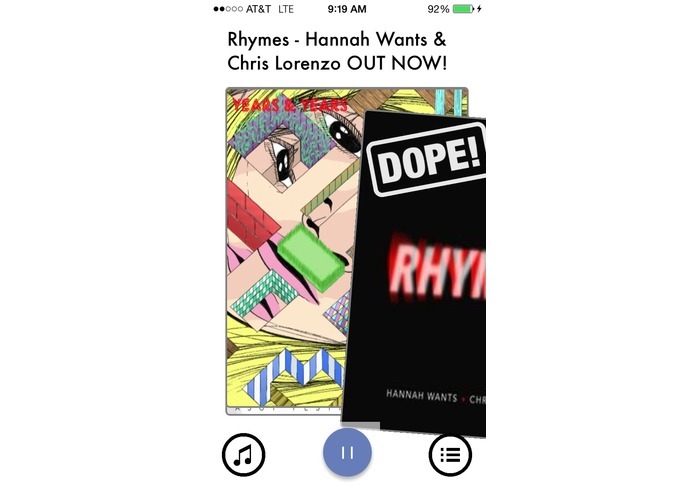 A button allows the user to pause/play the song preview (which can also be done by tapping anywhere on the screen), swiping to the right saves the song to the user's favorites list, and swiping to the left skips the song. Both swipe gestures are used to browse through songs, i.e. each swipe loads a new song. There is also a feature that allows the user to change genres (e.g. rock, country, techno) and another that allows the user to change the sort option (hot or random). The hot sorting option is implemented based on a modified version of Reddit's hotness algorithm. Our project began with our interest in music: we love to listen to music, but we wanted to find a better way to discover new music. It would often take at least a minute or two of listening to a song before we get to the song's best part, and it's not guaranteed that we like the song. As a result, with this app, it is now possible to get to the song's best part immediately and made a judgment much more quickly. It dramatically reduces the time spent on discovering music from several minutes per song to only several seconds. We are proud of the entire application, both the iOS and backend. The backend efficiently retrieves data through SoundCloud's API and efficiently stores data through memcache and Google's Datastore database. The backend also implements the comment density algorithm, shuffling of the songs so the user will always get new music, and sorting by hotness so the user will always get the hottest music. 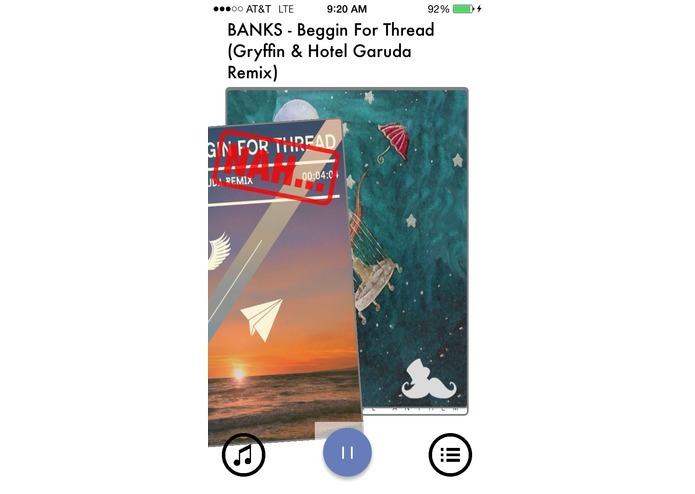 The iOS end has awesome swipe gestures that make browsing through songs intuitive and easy to use, and gives users the flexibility of choosing their desired genre as well as saving the songs they like. Our target users include anyone who loves to listen or create music. Not only does this application make discovering music so much easier and efficient, it also allows emerging artists to be noticed much more easily. It saves audio listeners time in finding their new favorite jams, and gives artists the added bonus of receiving a wider audience to their work. I worked on the seamless audio playback, tinder-like interface, and the networking components that connected the app to the back-end. I came up with the idea, worked on front-end and UI development, created a reliable persistent storage via core data for saved songs, and implemented an animated play/pause button.